Limited running and a premature end to Race 3 left James Nash's BTCC return in tatters on Sunday. The Newport Pagnell racer, returning to the British Touring Car Championship (BTCC) this season, was hampered by a lack of track time in his Norlin Racing Honda Civic, and qualified 26th out of 32 at Brands Hatch. But a battling performance saw him finish 17th in the opening race, and he was running 10th in Race 2 before slipping back down in the pack to claim 14th after seemingly solving his handling problems. Nash had high hopes for Race 3, but after being forced wide by 2017 champion Ash Sutton, Senna Proctor's overly-ambitious move saw the pair collide, eliminating Nash. After a difficult return to the series, Nash was philosophical about his opening round. 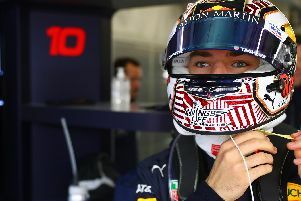 "For various reasons we were only able to do minimal running before this weekend and so today has been pretty much a very public test session for us," he said. "The race results have been disappointing of course but, the most important thing is that we've sorted the handling problem that had handicapped us through qualifying and the opening race. I'm confident now that we'll be alright at Donington Park." "I think we'd have done alright in race 3 but we couldn't prove it because after Ash Sutton in the Subaru pushed me wide at the final turn it allowed Senna Proctor a run on me into turn 1. Unfortunately, Proctor overdid it a bit and the resultant collision ended my race. I don't blame him for the crash though - these things happen."